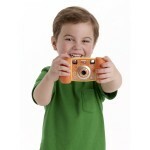 VTech Tote & Go Laptop only $9.75! You are here: Home / online shopping / VTech Tote & Go Laptop only $9.75! 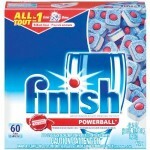 Here’s another awesome Amazon price drop! The price on this VTech Tote & Go Laptop has dropped to $9.75! 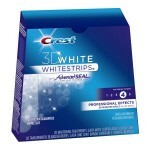 It’s regularly $21.99! 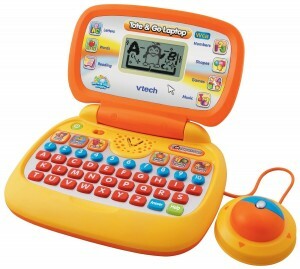 Introduce your child to the possibilities of computer play with the portable Vtech Tote and Go Laptop. 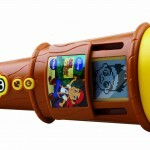 This toy engages your child with 20 educational activities, appropriate for ages 3 to 6, and even includes more advanced functions, like a pretend social network, an e-card feature, a music-playlist option, and a story-time activity. The Tote and Go helps to teach your child letters, numbers, as well as logic and reasoning skills, and additional content is available by connecting it to your PC or Mac. 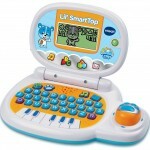 VTech Lil SmartTop only $11.99! 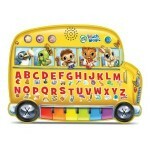 LeapFrog Touch Magic Learning School Bus for $9.99 plus more LeapFrog toy deals!